Something Blue Lace Favor Box in a set of 12 with a blue box and white paper lace. Keep your favors safe inside with the blue and lace favor box and white organza ribbon to tie the two lace sides together. 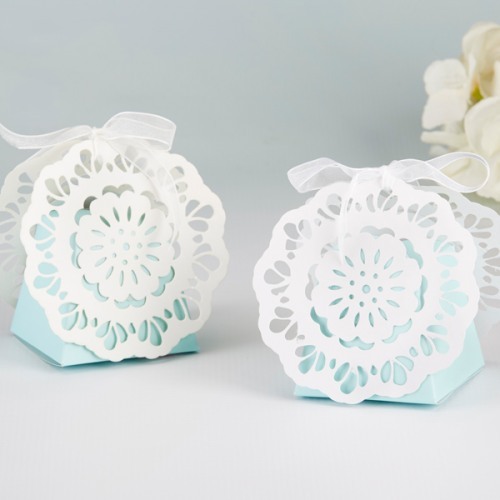 Perfect for a bridal shower and wedding favor box, but has a versatile style that can be used for birthday celebrations, anniversaries, and even bachelorette favors as well.